Every Wednesday, we give you the opportunity to tell us what you'd love to get your hands on! 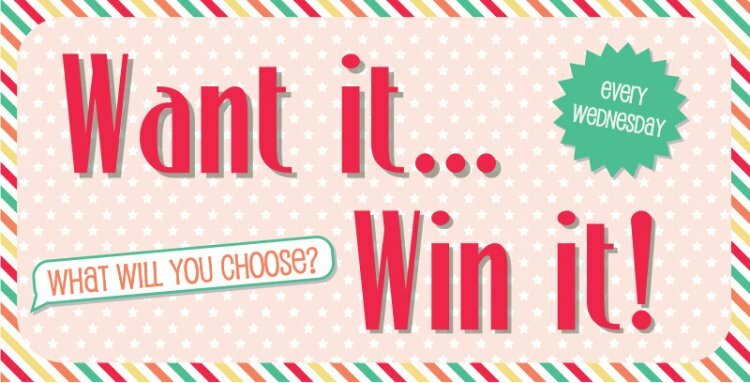 Simply pick one product, COMMENT below and pop back on Thursday to see who the lucky crafter is! If we could pick, we would have to choose the Whiz Kids 6x6 paper pack! Perfect for scrapbooking and card making, the happy, vibrant papers will made a wonderful addition to any handmade project! Now it's your turn, have a look through our fab collection of products and COMMENT your product selection below, good luck!